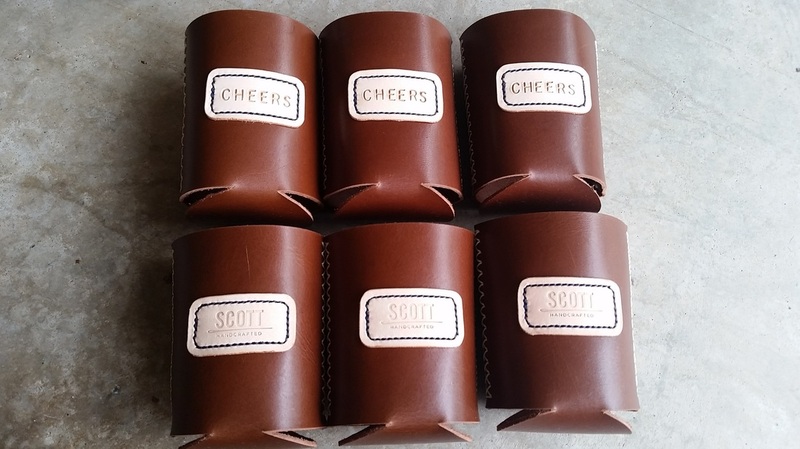 When thinking of what I wanted to make for my groomsmen as part of my gift to them, the idea of a leather koozie really stood out to me. 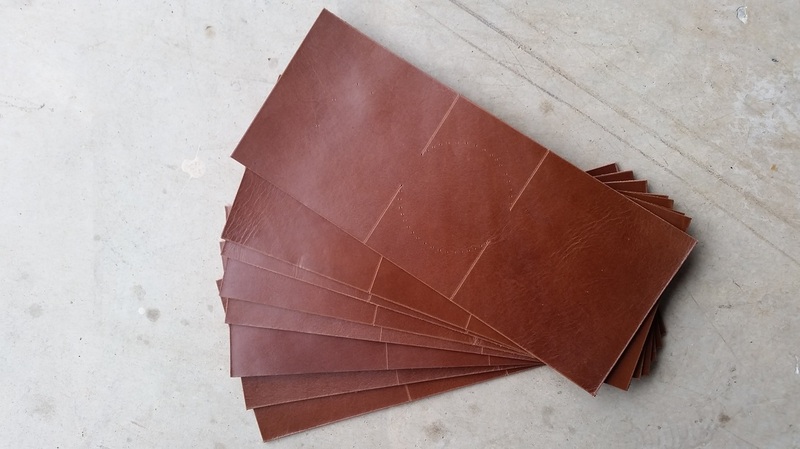 I knew it could be a little tricky trying to find leather that would, in my mind, work perfectly for this project, but luckily I stumbled across a sale at Tandy in Austin while I was in town for my brother's wedding. 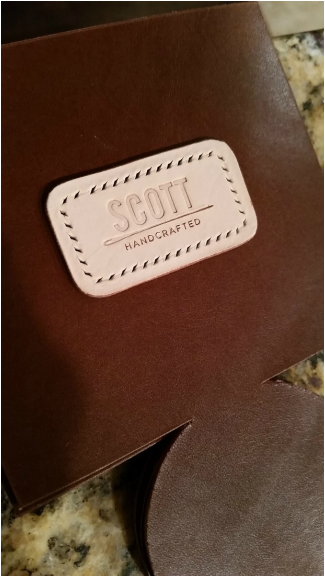 They had a table labeled "Manager's Special," and on that table was a great quality side of leather for an insanely low price. 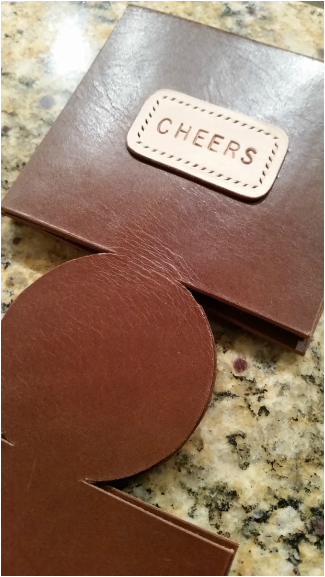 I knew immediately this was going to be the koozie leather and I scurried out of there like a little kid leaving a candy shop. 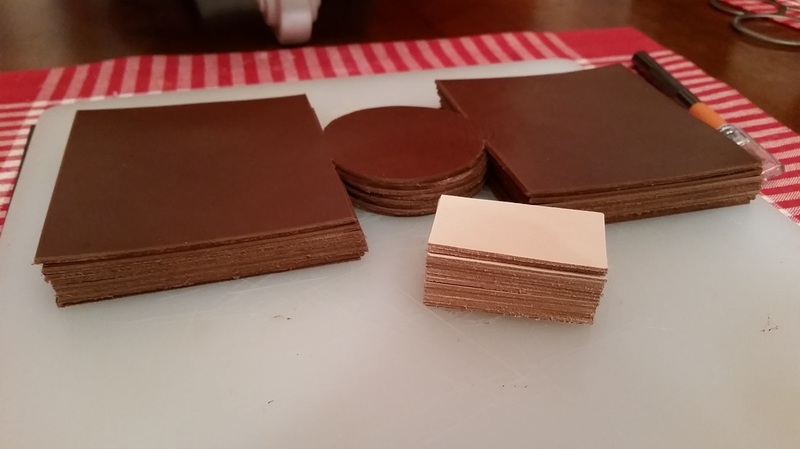 Before I even thought about cutting into this leather, I made about 6 test koozies with some other leather I have. I used a foam koozie I had lying around to start drafting a pattern, knowing I would have to alter it some. Foam koozies are made smaller than the circumference of the can/bottle to fit an array of drink sizes since it can stretch and retract. 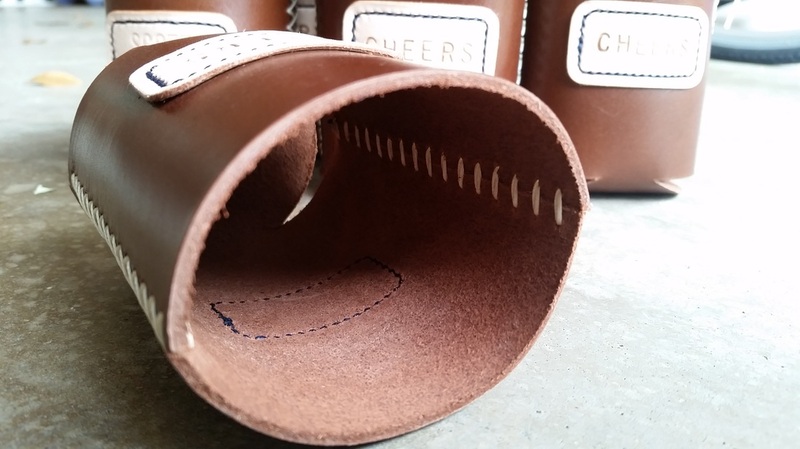 Leather, on the other hand, doesn't work that way so I needed to make it just the right size to fit snuggly around a standard soda/beer can and anything smaller would have some extra wiggle room (such as a coors light can). A few weeks of testing and 6 koozies later, I finally had the perfect size. 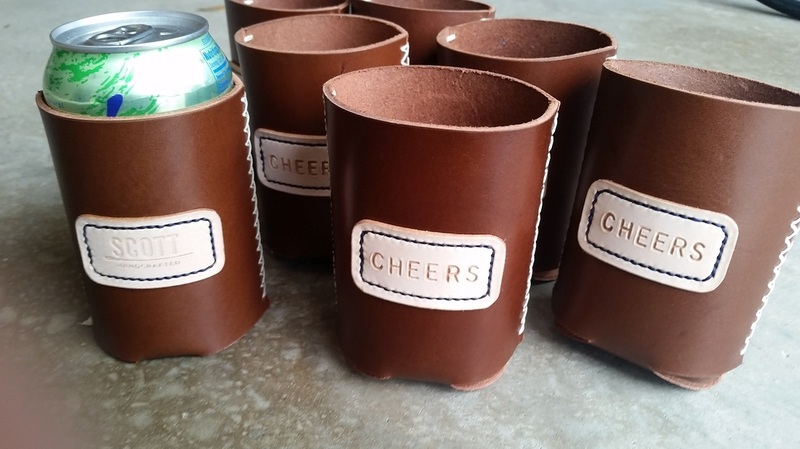 8 koozies needed to be made: 7 for my groomsmen/ushers, and 1 for myself. 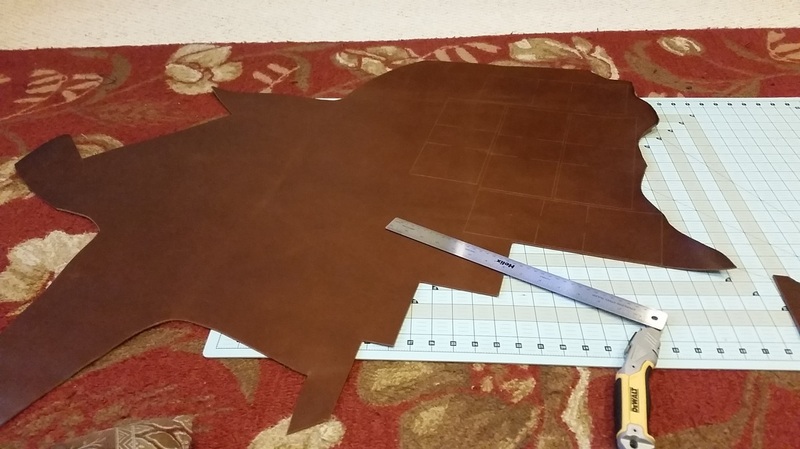 I traced my pattern on the leather using a scratch awl and cut out the 8 pieces I needed. 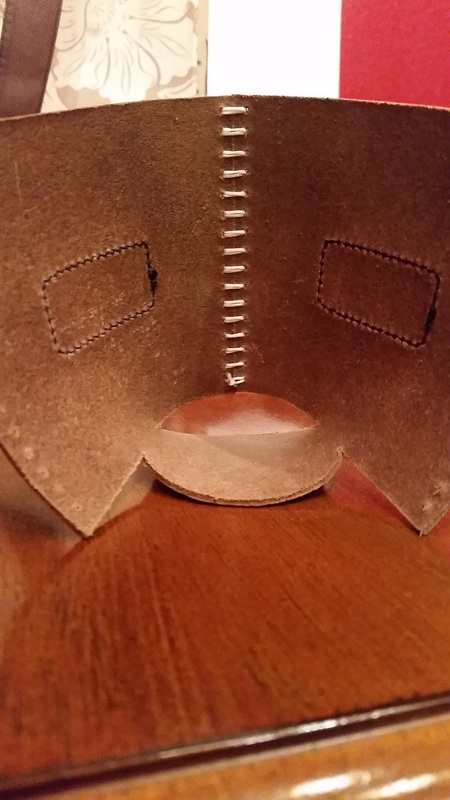 You can see the lines and dots I still needed to cut out to form the bottom of the koozie. 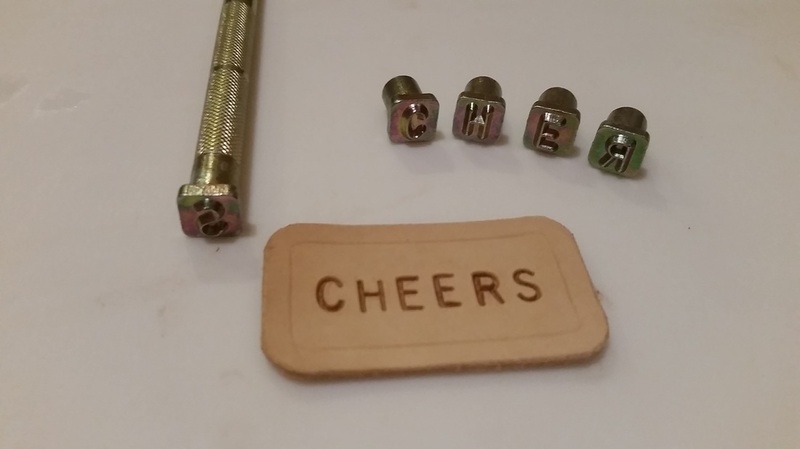 I used my scratch awl to connect all the dots for the circular bottom and cut out the remaining pieces. 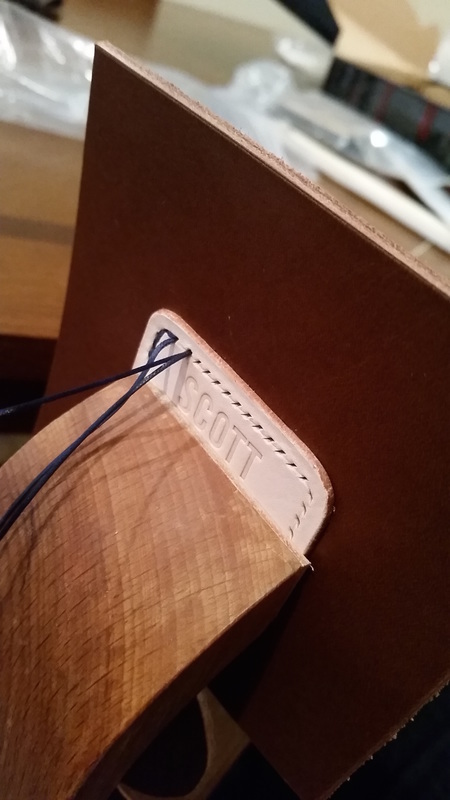 Next up was making the labels. 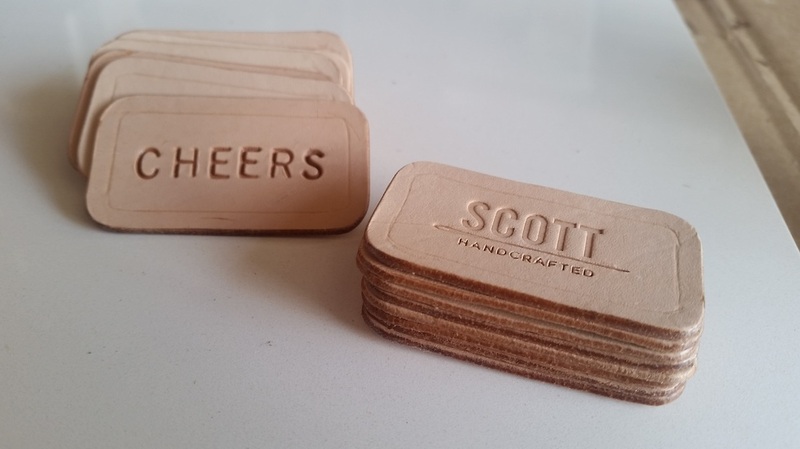 I wanted to include a tan label on either side of the koozies, one that said "Cheers" and one with my makers mark. It took a little bit of testing to determine the right size for these labels, too. 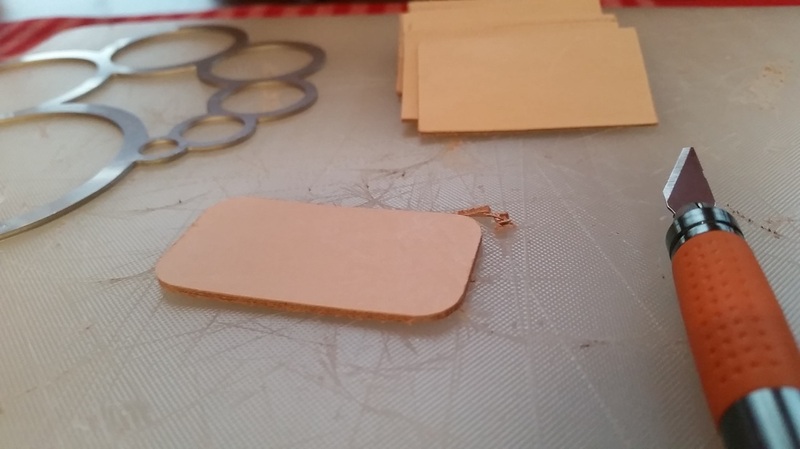 I beveled the edges of the labels so that I could later burnish them, but first I needed to get to stamping. 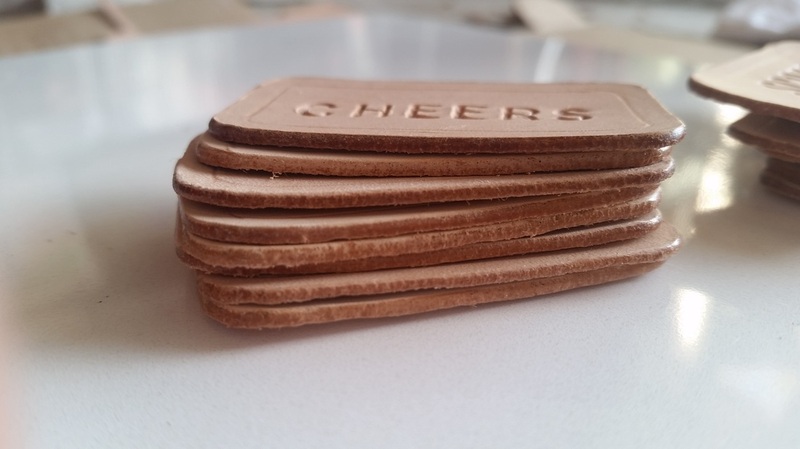 Stamping "Cheers" letter by letter was a bit daunting because I needed to space each character evenly from one another while also centering the word in the middle of the label. I'm actually quite surprise at how well they turned out! Time to burnish! This process really smooths and cleans up the edges, leaving them with a nice shine. 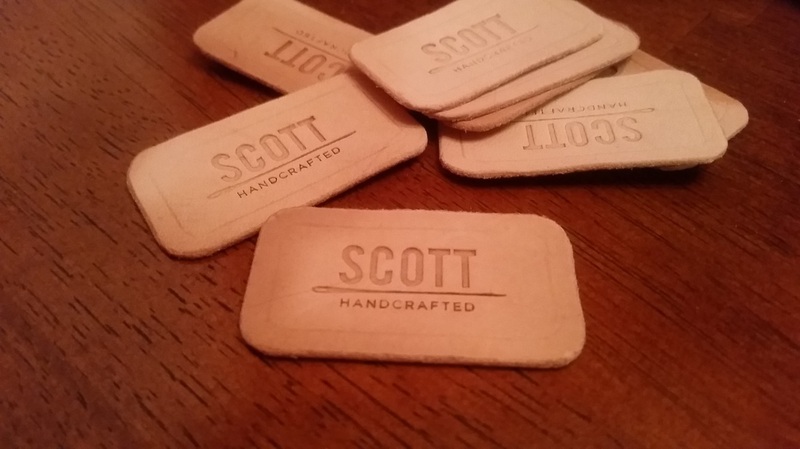 The labels were done, so the next steps were to glue these on the koozies, punch out the sewing holes, and sew them on. I used a royal blue thread (though it's really more of a navy) to add some color to it. 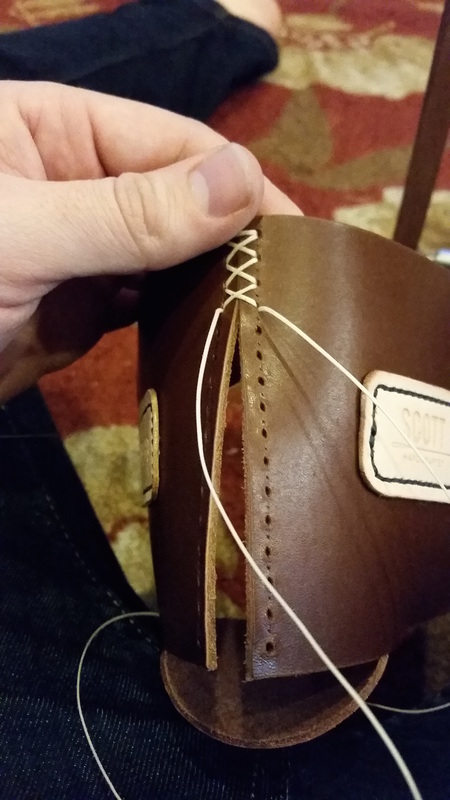 I was nearing the end at this point, only needing to punch out the sewing holes and sew up the ends of the koozies. I did a cross stitch down both sides because, well, I thought it would look cool. And personally, I think I was right! Aaaand done! The guys loved 'em, and I couldn't be happier! They actually used them throughout the wedding reception, which of course made me feel good. I'm already dreaming up ideas on how to make a bottleneck koozie. 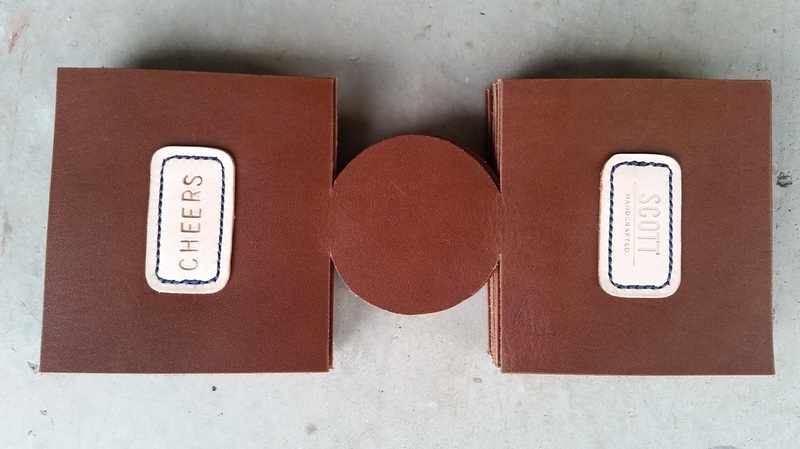 Be sure to check out the groomsmen boxes I made for the guys that contain a koozie + other goodies.